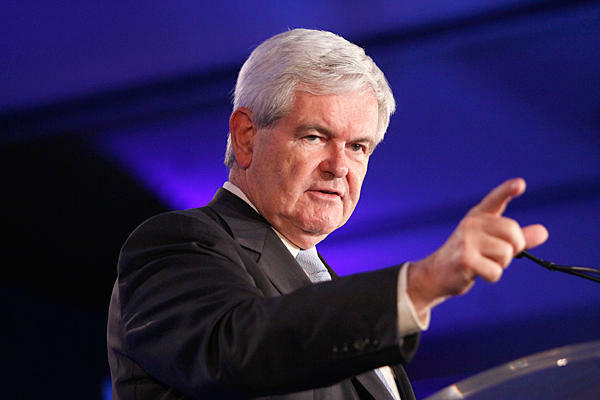 Regarding immigration, Gingrich told Marlow that he just came back from Israel. “You can’t spend time in Israel and not believe that fences work. People who say you can’t build a fence are just wrong,” he maintains. He added that Trump is right on this, and that building 95-story sky-scrapers is more complicated than building fences. Gingrich maintains there should be a “pathway to legality,” but rejects offering them citizenship before those “waiting patiently” who apply legally. There could be exceptions for some who would enter the military. If one is willing to “risk their lives” for America, extenuating circumstances may apply in that case, Gingrich believes. fence, illegal immigrants, immigration, Legal Immigrants For America, LIFA, Newt Gingrich. Bookmark.